Resetting the ink cartridges is required when you modify the printer software settings, switch to a different kind of cartridge or a cartridge-related problem arises. The resetting procedure differs for different Canon printer models. The following sections cover the resetting instruction on how to reset canon ink cartridge for the MP printer series. Unplug it from the electrical outlet. Reconnect it to the outlet after some time and then power it up. Hold the Power button and simultaneously press the Stop/Reset button twice. Switch to Shipping mode on the control panel and select OK.
Press the Stop/Reset button again when the Without Cleaning screen pops up. Raise the printer cover and once the carriage stops moving, disconnect the printer from the outlet. Remove the cartridges and then reconnect the printer to the outlet. Replace the cartridges. 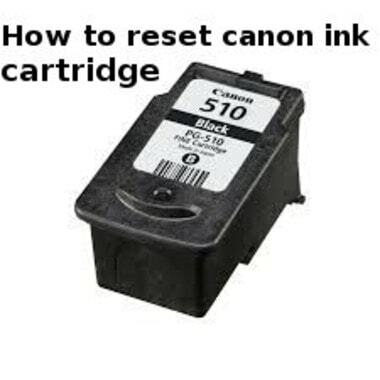 How to reset canon ink cartridge, if you are using Canon Pixma printer of series MP200-400, power it off if it is turned on. Remove the power cable from the printer to disconnect it from the wall outlet. Wait for a few minutes and then plug the cable back into the printer. Now turn the printer on by pressing the ON/OFF button. Now while holding the ON/OFF button, press the Stop/Reset button twice. Let go of the ON/OFF button. The printer will switch to the factory mode. Use the right arrow button on the control panel to select the Shipping Mode 3 option on the display to reset canon ink cartridge. When the Without Cleaning message appears, press the Stop/Reset button. The printer will print a test page. Open the top printer cover and wait until the cartridges to halt at the left of the printer. Disconnect the printer from the outlet again by removing the power cable. Take all the ink cartridges out from the printer and then close the cover. Replug the cable into the printer and power on the printer using the ON/OFF button. Reinsert the ink cartridges only once the Replace Cartridges prompt message displays. The printer will take some time to recognize the cartridges. Try to print. The following paragraphs comprise the procedure for the Universal Ink Counter Reset applicable for Canon MP 140-MP 830 printers to reset canon ink cartridge. Power up the printer and give it a few seconds to complete its initialization process. Hold the Reset button on the control panel and without releasing the button, hold the Color Start button for at least 5 seconds. Release the Color Start button and then the Reset button. Wait for about 20 seconds while the printer configures itself. When ‘1’ displays on the control panel, hold the Tool button. When the letter A appears on the printer’s display, hold the Reset button without releasing the Tool button. When there are no blinking lights, release the Tool button first and then the Reset button to reset canon ink cartridge. Power off the printer and then press the Power button while holding the Stop/Reset button. When the Power LED lights up, press the Stop/Reset button twice without releasing the Power button. Release the buttons. The printer will switch to the Service mode. When you see the green LED light lit, press the Stop/Reset button four times and finish the process of how to reset canon ink cartridge.